Coral Hill Bungalows consists of three individual bungalows in Cahuita at Playa Negra. You will find tranquility all around. Covered by trees for coolness, surrounded by lush gardens and wildlife, set in a private area just steps from the beach. Please click on Book your stay to check rates. Coral Hill Bungalows, which got its name due to the fact that the home on the property is built on an old coral reef, is located in the unique village of Cahuita where the laid back Afro-Caribbean vibe is alive and well. 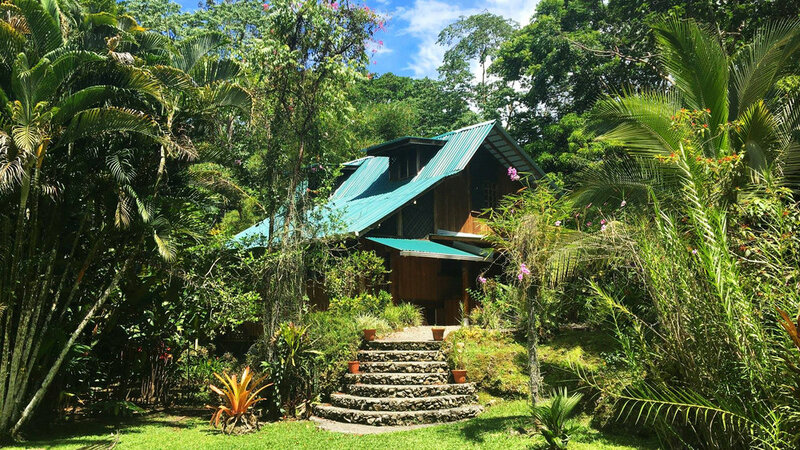 We are located just 20 minutes North of Puerto Viejo and 45 minutes South of Limon. The beach at Playa Negra is acclaimed to be one of the best unspoiled beaches in Costa Rica. The coral reef just off the coast is the largest on the Caribbean coast, creating a home to diverse aquatic life. Our bungalows are each 30 feet apart, allowing for privacy and serenity. 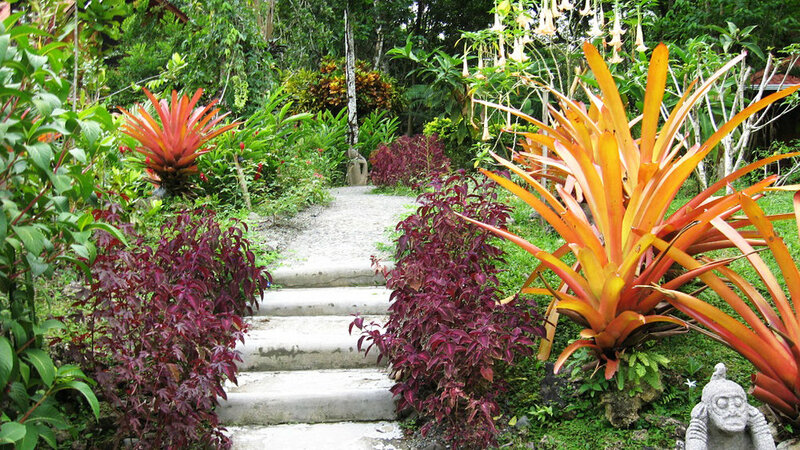 Walk the pathways through our property, enjoy the lush gardens and wildlife. We are located just 250 meters from the beach, making it an easy walk to the ocean and nearby restaurants and bars. You can even take a bike ride into town to explore the town or enter into Cahuita National Park. We require a 50% deposit of the total stay to secure a reservation, it is paid using either MasterCard or Visa when making your reservation. The remainder 50% is paid upon arrival. The key to a perfect vacation is knowing you have chosen the best spot to spend it and it will be all or more than you expected. Our friendly staff and attention to detail is what sets us apart from others. Coral Hill Bungalows is of the highest quality and located in a perfect area to have easy access to all of what Cahuita and the surrounding Caribbean areas offer. We take pride in knowing you will enjoy the beautiful setting we have created. Cancellations made within 7 to 21 days of projected arrival will result in a 50% penalty of the total value of the reservation. Cancellations made less than 7 days will be charged the full amount. No shows and early departures will be charged 100% of costs. There are no refunds for late arrivals (including delayed flights) or early departures unless prior arrangement has been made.